We all recognize the convenience of power windows in personal vehicles. Power windows are quite strong, however, and when designed or used improperly, they can pose serious threats to vehicle occupants. If a window-control is designed and manufactured in an inadequate and unsafe manner, children may be put at risk of serious injury by accidentally closing windows on their arms, hands, or heads. If your child has been injured by a power window, you may be entitled to compensation from those responsible. Contact vehicle power-window injury lawyer Jeffrey Killino at 877-875-2927 to learn more about your legal options. According to the National Highway Traffic Safety Administration (NHTSA), most power-window injuries are sustained by children and those under the age of 4 have the greatest risk of power-window injuries. Some of the reported injuries are far more serious than those listed above, including asphyxiation, brain injury, and death. Power-window injuries may result when adults fail to properly supervise a child while the child is riding in a car or other motor-vehicle. Power window injuries may also be caused by the faulty design or manufacture of the window itself or its power components. Defective design of rocker and toggle switches are among the most common power-window defects. According to the children’s safety group, KidsandCars.org, the incidence of power-window injuries could be reduced by mandatory inclusion in all power windows of an automatic reversing system (ARS) that would prevent a power window from opening when it detects an obstruction such as a child’s head, hand, or arm. A child’s power-window injury can result from the negligent supervision of an adult or from a defect in the power-window itself. A defect in any one of several components of a power window may result in a child’s power-window injury. The power windows of some motor vehicles are fitted with automatic reversing systems (ARSs) and some have locking systems intended to prevent children from opening power windows on their own. 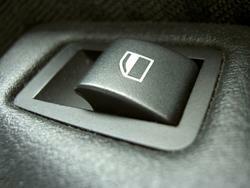 Power windows may also contain toggle or rocker switches that activate the windows. NHTSA has issued a regulation prohibiting the installation of toggle switches on the armrests of vehicles sold after October 1, 2008, however, because such toggle switches can cause a window to close when a child inadvertently leans on the switch. The regulation allows for toggle switches only if they are imbedded in the armrest. If a power-window’s ARS, locking system, or toggle/rocker switch contains a manufacturing or design defect and the defect is determined to have been a cause of a child’s injury, the manufacturer and anyone in the chain of the product’s distribution may be held liable in a product-liability action for damages resulting from the child’s injuries. A power window may also be held to contain a defect that was a cause of a child’s injuries if the vehicle did not come with adequate warnings regarding the dangers of power windows or instructions for their safe use around children. The failure to warn and adequately instruct is considered to be a defect under product-liability law because the consumer’s lack of information regarding hazards and safe usage renders the product unreasonably dangerous for the consumer. Children often sustain power-window injuries even in the absence of a product defect. Power windows may be operated by drivers with master window-control devices, which allow the driver to control backseat power windows without observing their opening and closing. If a driver fails to take reasonable care to ensure that a child is not near a power window while the driver opens or closes it and the child is injured as a result, the driver may be held liable in a negligence action for damages sustained as a result of the child’s injuries. If a child suffers a power-window injury due to the negligent supervision of an adult, the supervisor may be held liable in an action in negligence for the child’s injuries. For such liability to attach, the adult must have had a duty to take reasonable care for the child’s safety (by, for example, agreeing to supervise the child), breached the duty of care, and caused legally compensable injuries to the child as a result of the breach of duty of care. If your child has been injured in a power-window accident due to someone’s negligence of a defective product, contact child power-window-injury lawyer Jeffrey Killino at 877-875-2927 for experienced assistance in obtaining the justice to which you are entitled.